While Beatrice's pale pink hat was compared to a pretzel or an octopus, Eugenie's pointy blue hat was judged for the over the top flower arrangement towering above it. The son of Queen Elizabeth II, 92, and Prince Philip, 97, (who in attendance) and heir apparent to the British Throne arrived at the ceremony and missing was his wife, the Duchess of Cornwall Camilla Parker Bowles, 71. These exes have attended several formal events together since their 1996 split, and this display of unity comes seven-and-a-half years after Fergie did not receive an invite to Prince William and Kate Middleton's 2011 nuptials. Sarah Ferguson gave her daughter a run for her money when it came to wearing the most-talked-about outfit of the royal wedding. 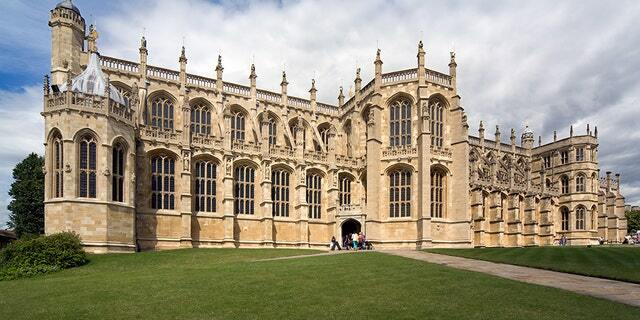 Plus, as many may recall, the power couple traveled to Windsor, England, earlier this year for Meghan Markle and Prince Harry's wedding. But as Princess Eugenie walked up the aisle yesterday it was not the conventional adornments of beauty that lit up St George's Chapel. She also showed off her silly side. Arriving on the arm of florist and perfumer Eric Buterbaugh, she was ready for her royal moment in a figure-hugging oxblood midi dress with a netted fascinator atop her head. While making her milestone first visit to her namesake county of Sussex, the Duchess of Sussex carried the same bag in a deep green hue. Princess Eugenie and Jack Brooksbank tied the knot! When Princess Eugenie walked down the aisle wearing a attractive dress with a scooped, low back by British designers Peter Pilotto and Christopher De Vos, she was making a significant point.